Costa Rica is the place which means a lot for many people. Some consider this place as tropical paradise which connects them with the Mother Earth. It is the place which helps to experience many animals that are rare in the world. And some think that this is the place which is a retirement destination and has high class of surfing. Costa Rica has something for everyone whether you are young or old. There are many reasons that attract people to visit amazing beaches and jungles of this country again and again. List of activities and adventures is long for the trip of Costa Rica. Out of them, some activities are worth sharing and everyone should try them while visiting to this Central American paradise. Here in this article, five activities are discussed that shouldn’t be missed to experience the real adventures of Costa Rica. Hiking in Costa Rica is found as the most amazing experience of life. 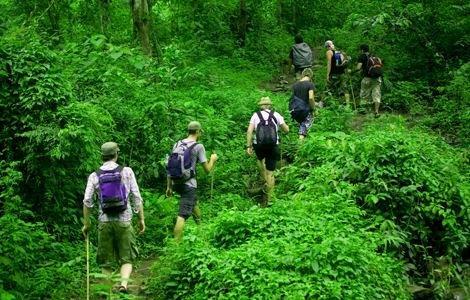 Hiking to side of the Volcano through the dense forests of Costa Rica or beside the path of waterfall are the adventurous experiences of Costa Rica that are highly inspiring. When you take a tour to Costa Rica, you can choose either a self guided tour or you can join tour guides as they can give to knowledge about the adventures of the place. Some amazing experiences in Costa Rica include overnight camping excursion, hiking and horseback riding. There are 16 best hiking tracks in Costa Rica, you can experience some in your tour. These are the 10 Ghostly Abandoned Place of the World!